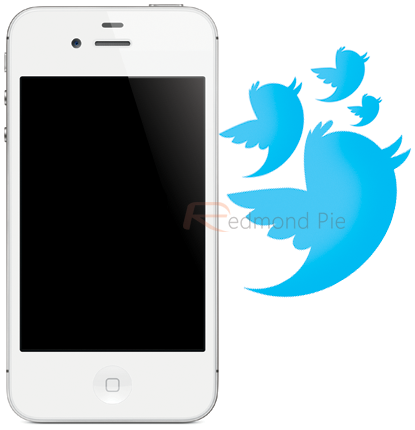 Ever since the confirmation of native Twitter integration in iOS 5, there has been a marked uprising in not only third-party App Store apps, but also jailbreak tweaks related to those using The Twitters. 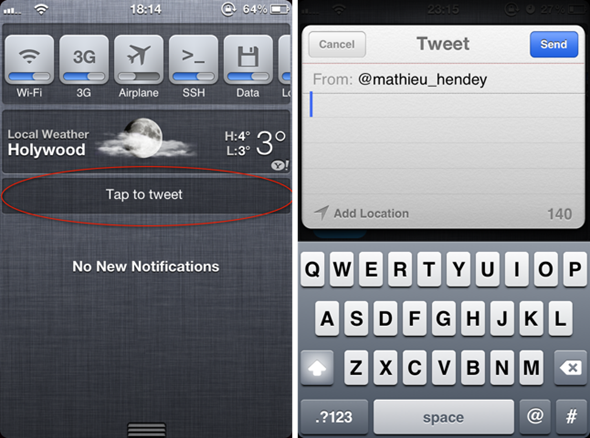 As well as the Twitter integration, iOS 5 also promised – and delivered – a new-look notifications structure, revamping the previously disorganized array of pop-ups and badges seen in previous iterations. As a result, the Notification Center has also commanded its fair share of the third-party app makers’ attentions, as well as those of the tweaksters. Our latest featured Cydia gem incorporates both of the newer features into the equation, providing you yet another way to swiftly get your <140 in through the convenience of the Notification Center. Aptly named NCTwitter for Notification Center, it consists of a novel "Tap to Tweet” button as you scroll down your notifications slab, from which you simply type, click send, and carry on about your business. Created by developer Mathieu Hendey, the updated version of the release has proved popular amongst jailbreakers having been downloaded no fewer than 800 times since landing over at the BigBoss repository earlier today. Once installed, all you need to do is consult your Settings icon and enable the add-on. Of all the make-Twitter-simple apps and tweaks available, we’d say this is one of the best, having given it an extensive test drive. As an added bonus, it’s free of charge, and definitely worth taking the time to install.